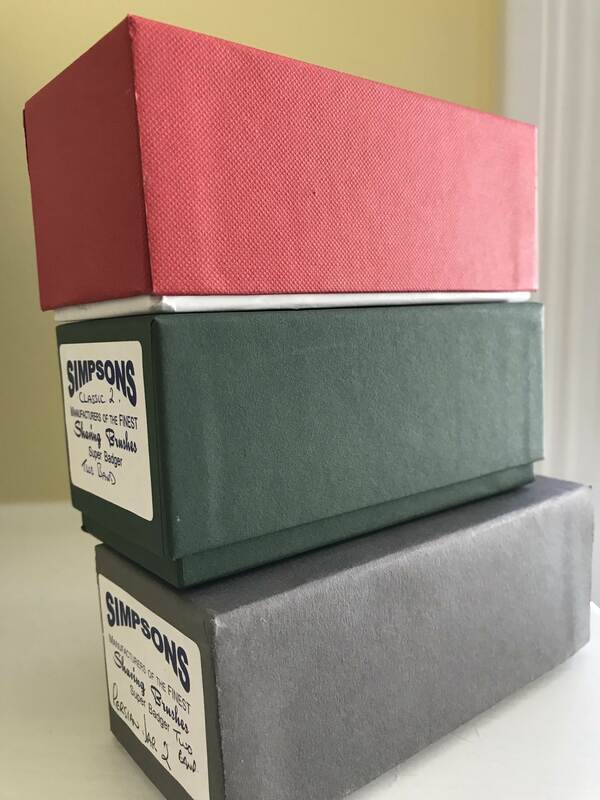 How old are Gray Box Simpson's? 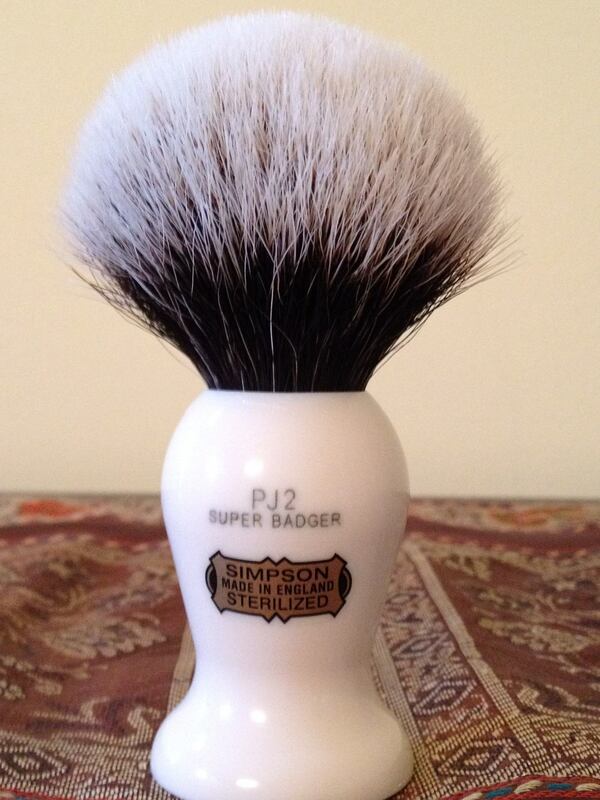 Current Simpson brush are sold in red boxes. In what year did they transition from Gray to Red? Does anyone know the period that (years) that Gray was used? 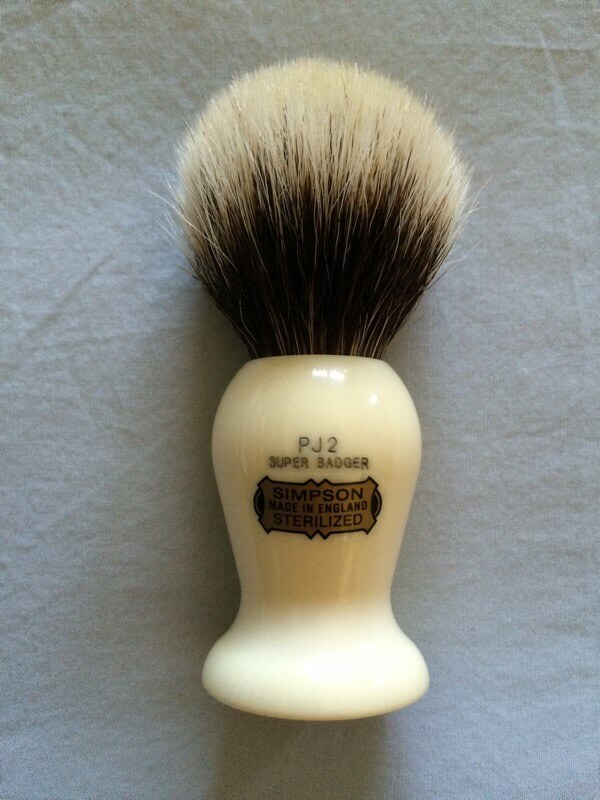 I am trying to approximately date a brush. Thanks. About 3 years ago Sir. (12-03-2017, 10:28 AM)MarkW Wrote: About 3 years ago Sir. Actually, to my recollection, they moved from a light Grey to a Green-Grey to the Red Box. The light Grey box is about 2011 and earlier, the green grey 2011-2014, and then the red. (12-03-2017, 11:01 AM)German Wrote: Actually, to my recollection, they moved from a light Grey to a Green-Grey to the Red Box. The light Grey box is about 2011 and earlier, the green grey 2011-2014, and then the red. A Persian Jar in Two Band! Awesome. Not unexpected for German. but awesome still. A beautiful specimen. Thanks for sharing the photo.